At Bruce Hage Irrigation, we provide professional irrigation installation, maintenance, and repairs for residential & commercial property in Maitland. Don’t fuss with regular sprinklers that you have to hook to a hose and monitor. 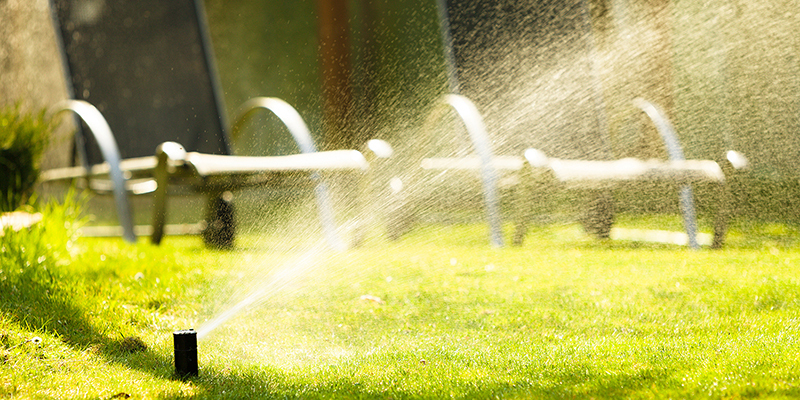 You can add value to your property by adding a state of the art irrigation systems that can turn on & off when necessary as well as measure the amount of moisture; thus determining when it’s necessary to run the sprinkler. Bruce Hage Irrigation has been serving the greater Orlando area since 1987. We require our employees to continue their education to help service our customers as efficiently as possible. We also do our best to follow the Florida Irrigation Society standards as well as obey all local and state laws. We don’t try to be fancy or flashy, we just want you to receive great irrigation work from the friendliest people in Orlando. For more information call today (407) 275-0804. Maitland is a city in Orange County, Florida & is apart of the Greater Orlando area. As of 2006 the population recorded by the U.S. Census Bereau was 14,172. Maitland is home to the nationally recognized and Central Florida’s only full time independent movie theater, Enzian Theater, itself home to the Florida Film Festival.